ProdEX by Prodema combines natural wood products with state-of-the-art technology, creating an original range of natural wood based. 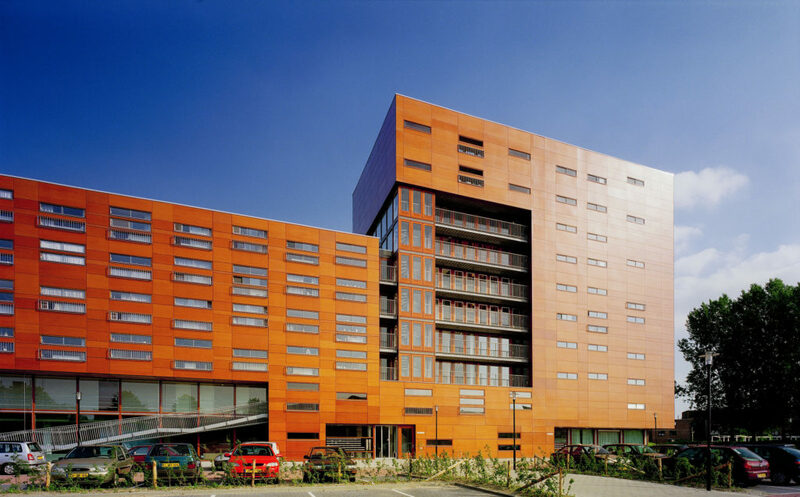 ProdEX is a composite panel faced with a natural wood veneer and coated with a proprietary coating, based on synthetic resins and PVDF which protect the panel from the effects of sunlight, chemical attack and the damage caused by atmospheric agents. 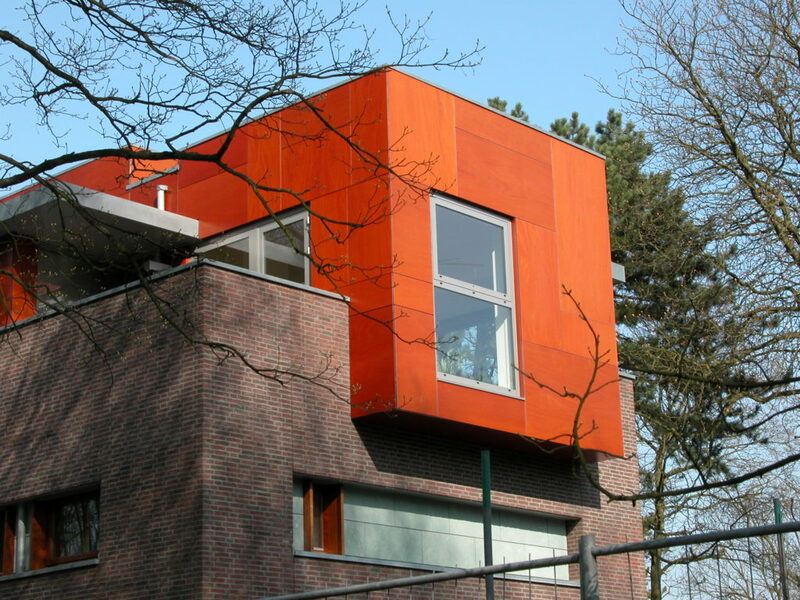 ProdEX offers high resistance to the elements, protection against wood-eating pests and is impact resistant. Each panel has an external non-stick chemical sheet which prevents graffiti or aerosol paint from permanently sticking to the board. 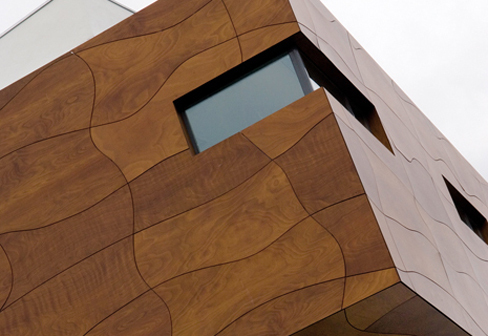 Each ProdEX natural wood panel is unique and will exhibit differences in the grain, shading and colour, however, Prodema endeavour to ensure that each batch is homogeneous. ProdEX is available in a range of wood grain colours to suit each design element, ranging from Cream and Ice Grey to Deep Brown and Mocca.